Need to find a quality PPC Agency? Ask these questions! We really need professional assistance on our Pay-Per-Click (PPC) accounts, specifically Google AdWords. However, we aren't sure where to look or what questions we should be asking. Can you help us? 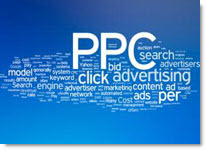 Answer: Choosing a good Pay-Per-Click (PPC) provider is not something to take lightly. As you would with an internal hire, finding the right PPC company involves both time and patience and a clear communication of expectations by both parties. Whether you hire a single PPC consultant or go with a larger firm with dozens of certified specialists in PPC campaign management, there are certain places to look AND certain questions to ASK that will make the process go much easier. Since your current need is primarily Google AdWords, our first recommendation is the Google Partner Search. This simple search engine is maintained directly by Google and lists all those who have been certified by Google to manage AdWords campaigns. With the ability to search providers by your projected campaign spend, locally within your area, or by industry focus, this is the first place you should look to find and generate a list of qualified Google AdWords PPC management professionals. Note: The Google Partner Search also includes a handy Search by Partner Name field which allows you to check the certification status of any company who "claims" they have a Google AdWords Professional Certification. Once you've generated a list of possible PPC candidates, it's time to interview them. Understanding their level of expertise, their cost structure, past results, and approach to your accounts is IMPERATIVE going forward.